Count on us at Waco Bounce House Rentals for all your party equipment needs, and yes, this includes additional servings you may require for larger parties! Our popcorn machine comes with enough popcorn and bags for 50 servings, however if you require more than the 50 servings with bags we have the option here to add additional servings in increments of 50 with bags. We can tailor your rental package to accomodate parties of any size! Be sure to explore our other offerings to round out your package, and make your reservation with Waco Bounce House Rentals today! 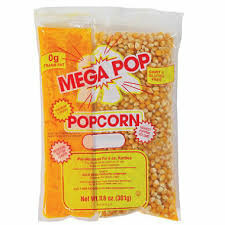 Each additional popcorn servings will accomodate 50 servings with 50 bags.